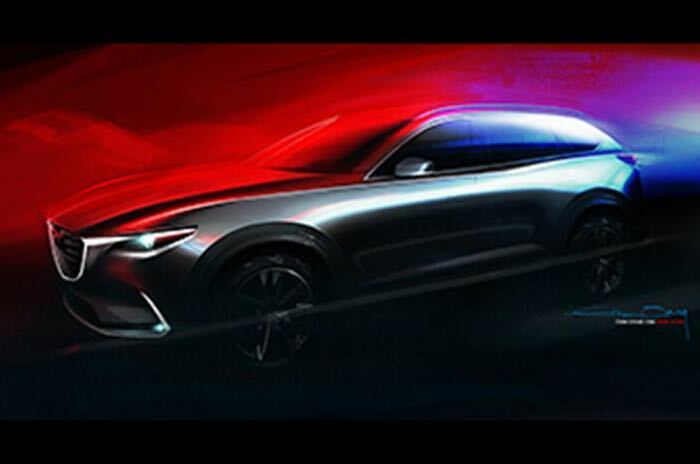 Mazda has announced that they will unveil a new crossover SUV at the LA Auto Show this month, the Mazda CX-9. The LA Auto Show takes places between the 20th and 29th of November are we are expecting to see a number of new vehicles from various manufacturers. Fully incorporating the latest SKYACTIV technologies and KODO-Soul of Motion design, the all-new CX-9 is a high-end model of Mazda’s new-generation lineup. The all-new CX-9 builds on the feeling of life imbued by KODO and moves toward a more premium design execution that befits a three-row midsize crossover SUV. The company did not reveal many details about their new Mazda CX-9, we will have more information when it is made official at the LA Auto Show later this month.